Will I be paying more for this professional service than with other choices? Will I be pressured to buy insurance or annuities later? I am interested in using a professional money manager and I want to learn more. What should I do and will there be a charge? Finally, why the name Seaway Advisors? Q. What does an investment advisor do? A. An investment advisor acts as a fiduciary, much like a CPA or an attorney, on behalf of clients. We have discretionary authority to make portfolio management decisions for clients and manage their investment accounts to reach their goals – whether the goal is capital preservation with long-term growth, long-term capital appreciation, or income. 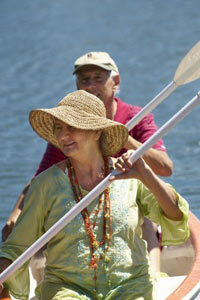 We manage money for individuals, business retirement plans, trusts, and endowments. Q. Will I be paying more for this professional service than with other choices? A. The least expensive choice for the individual is to manage investments on their own. This is also potentially the most expensive method in protecting and growing wealth over the long term. Stock market news bombards the individual constantly and oftentimes the individual sells when the news is the worst and buys or buys more when the market is reaching a new high. A professional money manager with a depth of experience is well suited to guide portfolios through changing market cycles. Our fee as a flat percentage of assets is less than that of many actively managed mutual funds. There are also no hidden charges or “surprise” charges, such as cancellation fees, account review fees, or consultation fees. Q. Who holds the assets? A. A third party, nationally known financial institution, called a custodian, holds the assets. There are no additional fees for this service, unlike other investment firms that may have an ownership interest in the custodian. The custodian will furnish monthly statements detailing current portfolio market value by each position, any trades in the account, and all income. In addition, the custodian will send confirmations of all trades in the account. We will provide a comprehensive quarterly report to clients. Q. How are you compensated? A. We are compensated by a fee based on a percent of the assets we manage. This aligns our interests with the interests and goals of our clients. If we make sound decisions and the market value increases, then our fee increases. A. Even in situations where there seem to be no commissions, commissions are in fact charged to buy and sell stocks. A no-load mutual fund will pay commissions on the individual stocks within the fund which will be reflected in the overall performance of the fund. A wrap fee account with a broker is set up to cover the costs of trading and can be a substantial charge if there is little trading activity. In trading over-the-counter stocks, the difference between the bid/ask spread is in effect a commission. Clients pay only our competitive management fee and low trade commissions paid to a broker, usually the custodian. We have no incentive to make unnecessary trades in accounts. As a manager seeking long-term value and results, portfolio turnover is low. Q. Will I be pressured to buy insurance or annuities later? A. All Seaway Advisors does is manage assets for the benefit of our clients. We do not sell insurance or annuities. We are an independent money management firm and not associated with another financial services firm who provides these products. Nor do we invest in proprietary mutual funds or offer tax services. We are a part of our clients’ trusted financial team and manage assets taking into consideration clients’ insurance and tax situations. Q. I am interested in using a professional money manager and want to learn more. What should I do and will there be a charge? A. When selecting an investment manager, your comfort level with the firm, the manager, and their investing discipline is imperative. The best place to start is to call our firm and schedule an appointment at your convenience. One of the owners will be glad to help. We can be reached at (585) 425-9510 or by email invest [at] SeawayAdvisors.com. There is no charge to meet and discuss your current situation We welcome the opportunity to get to know you and your goals. Q. Finally, why the name Seaway Advisors? A. 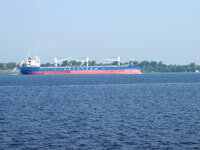 The St. Lawrence Seaway, stretching 189 miles from Montreal to Lake Ontario, turned 50 years old in 2009. Built as a bi-national effort of the United States and Canada, the Seaway allows cargo ships to transport bulk commodities from the Great Lakes to ports on the St. Lawrence and beyond to the rest of the world. It opens up the grain and ore markets of the American upper Midwest and the grain markets of the Canadian Great Plains. Our homes have been on the St. Lawrence River and in Rochester (situated on Lake Ontario), part of the Seaway system. It is always a breathtaking sight to see large ocean and Great Lakes ships moving steadily through sometimes narrow and difficult channels on their way to their destinations. Seaway Advisors works as a trusted partner with clients to get them to their financial destination. Our conservative management style is “steady”; our goals are purposeful with our client’s destination always in mind.